Silk’s Post #109 — One of the light-bulb moments for me at this year’s Surrey International Writers’ Conference came during the terrific panel discussion, “Edge of Your Seat Tension” with bestselling mystery/suspense authors Chevy Stevens, Hallie Ephron and Robert Wiersema. Three heads nodded in unison, well, figuratively anyway. Yes! They all outline! Damn. The buoyancy leaked out of me like a deflated balloon. I hated to hear this endorsement of the dreaded outline, especially from these admired writers. Why? I am outline averse. I’ve tried traditional outlining a few times and never could stick it out to “the end”. I’ve flirted with all sorts of other plot planning schemes – from the formulaic to the esoteric – and I just haven’t found a method yet for anticipating my way through the entire sequence of a novel-length story from start to finish. I lack that crystal ball in my head. Damn. How do these people do it? Then one of them (Robert, I think) gave the game away. He always writes an outline, he said, and then always departs from it fairly quickly. I had a vision of a happy train jumping the track and chugging off across the hills and dales toward some unmapped and unscheduled magical station. A railroad relative of the Hogwart’s train, perhaps. Hallie chimed in with her own admission of outline abandonment. Chevy noted that her publisher likes her to stick to an outline. She sounded a little sad about that, I thought, like a kid who has to stay inside and finish her homework before she’s allowed outdoors to play. This was all very liberating. Pantsers unite! But wait. These writers do still outline, even knowing their stories are, more likely than not, going to skitter off in some unanticipated direction later. Why do they do it? I sensed I was still not off the story structure planning hook (in fact, I’m now immersed in Larry Brooks’ Story Engineering, which seems a promising approach for naturally organic writers like me). But I’ve been thinking about the tangled and dense issue of story planning for a long time, and there’s something that still bothers me about outlines. Something I’ve struggled to put my finger on. Something opaque that should be obvious, but isn’t (at least to me). Tonight I think I may have just conjured it to the surface. All writers (and readers) know that predictability on the page is a story-killer. A stone cold murderer of suspense. A fast track to boring oblivion. But prediction is exactly what an outline seeks to do. It’s supposed to be a roadmap to a pre-determined destination. Just follow the map, strewing words about as you go, and you have a book. You don’t want the resulting book to be predictable for the reader. Yet the outline should do exactly the opposite thing for the writer. 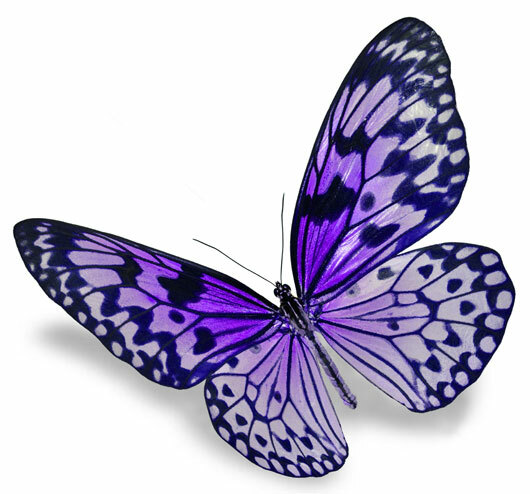 The butterfly effect is a common trope in fiction, especially in scenarios involving time travel. Additionally, works of fiction that involve points at which the storyline diverges during a seemingly minor event, resulting in a significantly different outcome than would have occurred without the divergence, are an example of the butterfly effect. To my own (admittedly non-scientific) mind, chaos theory’s application to plotting practically jumps off the page. After all, what is storytelling, if not a “deterministic, non-linear system” for examining the unpredictability of cause and effect in the great saga of human behaviour? And maybe that’s why outlines so often collapse somewhere along the way to getting a story written. It is hellishly difficult to predict all the twists and turns – the chaos – that will result from the interactions between all the characters and elements the writer brings to life on the page. Perhaps a good story should be capable of surprising the writer by jumping the tracks envisioned in an outline. At that point, what’s a writer to do? a) Drag the story out of inconvenient chaos and back to the original outline? b) Stop writing and do a new outline? c) Go with the flow? Chaos theory for writers would suggest that c) is the best answer. Maybe writing is an art, not a science, but the best stories are the ones that reveal some kind of truth about the real nature of life. And life is both messy and precise at the same time. Just like the unpredictable act of storytelling. This entry was posted in Outlining, Plot & structure, Storytelling and tagged Chevy Stevens, Edward Lorenz, Hallie Ephron, Larry Brooks, Outlining, Robert Wiersema, story planning, Surrey International Writers' Conference by Silk Questo. Bookmark the permalink. I was once a committed Pantser, an NOP fundamentalist. Now, however, as I’m researching what I hope to be my second novel, I’m giving serious consideration to an outline. I’m becoming an infidel! Part of my crisis of faith comes from learning that Robert Grisham uses outlines, after struggling to write his first novel without one. The rest of my crisis comes from the experience of wiring my first story on impulse. Both stories are “historical novels” based on ancient myths, so I know the ending in advance. The story, the novel, is how I get there. My first story started out as a short story, told in first person narration by a teenage male. I’ve often described the process as a teenage male, typically not doing what’s expected of him, and me chasing after him, resulting in a novel. The overall storyline turned out very much to my liking, but I fear I lost sight of the overall reading experience in several areas. I may end up doing yet another major re-edit, to tighten up the narrative and make it more readable, though not more predictable. Having had that experience, I’m wondering whether an outline, a “readability strategy,” will make the reader care about my narrator (another bronze age Holden Caulfield, though maybe passed his teen years) and what happens to him. I’m a repeat story-offender. I start with a story, an allegory, and invent characters to tell the story, instead of the orthodox other way around. When I was still working as a lawyer, I’d try to compose my closing arguments as the case progressed, but I invariably discarded those “outlines” in favor of fevered re-thining just before addressing the jury; pantser extremism. Looking back, it may be that the “outline” was helpful by identifying predictable ideas and why I didn’t like them, leading me to ideas I did like. I once had a sociology professor who, in a lecture on deviant behavior, was struck with an idea, and developed an enhanced theory of deviance right in front of us. It was mesmerizing. My best closing arguments were always similar. An insight that I couldn’t make clear in preparation became clear, with the aid of adrenalin, as I spoke to the jury. Jurors became part of the discovery process, and were drawn into my way of thinking. The less spontaneous processes of writing and reading the written word may be similar. The outline gives you a predictable approach, which is helpful. If you get inspiration, and depart from it, you understand what you don’t like about the predictable, an understanding you wouldn’t have if you wrote as a pantser purist. Actually, I’m hoping that’s true, because I don’t want to repeat the errors of my earlier total spontaneity. Thanks for your great comments Jerry! I actually think you’re SO on track here. In fact, the upshot of the panel discussion at SIWC was an acknowledgement that the process of outlining for those successful writers was really about telling themselves their story — and then changing what did not translate well from outline to narrative, just as you’re talking about. My reluctance relates to the outline format, not to story planning. I’ll let you know whether I find a method that works for me in “Story Engineering” that I cited. So far, I’m liking it but I’m still reading the book. I do really think the conceptual model of the butterfly effect applies to story planning, whatever method you use to organize your story elements and spin them into a sequence. For me, the places where my pre-planned stories are most likely to jump off the track are in the dialogue segments between characters. Once they start really talking to each other on the page, they often don’t say what I wanted them to, which can take the story thread off in an unplanned direction. For instance, while writing a conversation between a male lead and a “minor” female character, I may realize that (given who they are and what they “need” at the moment) they’re likely to be attracted to each other (or the reverse), which makes their encounters emotionally loaded and has consequences down the road in the plot. It’s not until the point of actually writing the dialogue that I truly get into their heads and know what they’re feeling in the moment. That’s just one small example of how story elements that interact with each other seem to have their chemical reactions right on the page (but not before). Like the difference between writing a theorem on paper (the outline), and doing the actual experiment in the lab (writing the book). Sometimes there’s an explosion. Sometimes the page just lies there, inert. Good luck with book #2 — I’m so happy to hear you’re going for it! I think you’re both on to something. But I’m due to put up a blog post here. So I’m afraid I’m not going to waste all my good thought on commenting on your blog post, when I still have my own to write. But Bravo, Jerry, for that marvellous comment you so generously shared and for following us so loyally. But most importantly, for that second novel! Bravo!